What is a Bonsai child ? It's a new term to describe the child who has been over tended to, fussed over and over supervised. When something happens at school an enquiry is needed to get to the bottom of 'why Isabella fell out with her friend and what did the school do about it as she is such a sensitive child!' Is Isabella temporarily sad or is she depressed. Could be either but it's important to know the difference. Clinical psychologist and researcher Judith Locke writes in her book The Bonsai Child "A sense of melancholy is labelled depression; any trepidation is labelled anxiety. A friendship fight is bullying." The Bonsai Child is her term for children who are over-nurtured. Michael Carr-Gregg talks about marshmallow kids a generation of children who are afraid to fail. Do they experience healthy disappointment when they don't achieve their goals and wants or do they feel unhealthily depressed and angry about not getting what they want? Are these children being conditioned to be so by over zealous parenting of the 'bonsai' and 'helicopter' kind? President of the Australian Primary Principals Association Dennis Yarrington says. "We used to say they're a little bit nervous, now they're suffering from anxiety or depression. They're adult words.'' He goes on to say that, ''students need to be taught strategies to deal with challenges, but sometimes parents' first reaction was to ship them off to a specialist "because that's what people do". Parents, teachers and all adult mentors and supervisors of children would do well to acquaint themselves with counselling models that can explain how strength of emotion is driven by the beliefs and expectations a person has about life and living. Cognitive and Rational Emotive Behaviour Therapies are highly effective. Rational Emotive Behaviour Education teaches children from early childhood to high school (and beyond) that they are constructivists. They have ingrained and well practiced beliefs about themselves, others and life. What are they? Are they helpful/unhelpful? Rational or irrational? How are they linked to how they feel and act? What can they do when things don't go their way? Can they learn reconfigure their personal 'habits of believing' and use them to help them deal with challenge and disappointment? As many as one in 10 children have mental health disorders according to a national survey by the University of Western Australia published in recent weeks. What can schools do? One effective tool in helping children learn how to survive challenge and thrive in spite of it is to teach them about Albert Ellis' ABC Theory of Emotional Disturbance through Rational Emotive Behaviour Education (REBE). You can read more about REBE in items throughout this blog if you want more information or you you can visit Albert Ellis' Official Page for up to date news about the late Albert Ellis and REBT. In the meantime take some time to view this YouTube post where Albert Ellis talks about the tendency to whine and whinge often over things we imagine to be worse than they actually are. Enjoy! 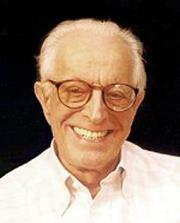 On the 24th July eight years ago Albert Ellis died but his work lives on. He would have been encouraged to know that schools have taken up the challenge he set many years ago; teach children how to make themselves less ‘disturbable’. Rational Emotive Behaviour Education is doing this is many South Australian schools with positive outcomes. Teachers have been trained in the understanding and application of Ellis’ ABC Theory of Emotional Disturbance and they are helping their students to understand that their habits of thinking are linked to how they act and how they feel. This insight empowers the child to monitor and assess how she is feeling and how she is estimating (thinking about/interpreting) the situation at hand. How am I feeling? Is this situation as bad as I think it is? I can reassess this situation so that I remain in control and make OK choices. Rational Emotive Behaviour Educators (REBE’rs) remind students daily that their worst enemy is often between their ears. They self-sabotage; they undermine their prospects of succeeding by reengaging the negative habits of thinking they have constructed and which have been practiced all their lives. This self-talk is on a continuous ‘loop’ reminding them that they are useless/dumb/unlikeable and that this is their lot in life. These habits of believing can be challenged, deconstructed and replaced with healthier more rational ones. Ellis said we (genetic predisposition aside) construct our depression so we can deconstruct it; we can make ourselves less self disturbable! 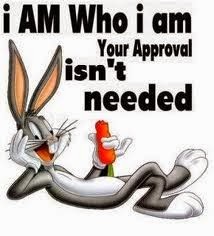 How say you? This is the subject of most of the items published on this humble blog but in a nutshell the key is in the daily teaching reminders i.e. The more our students are exposed to this logic the less self disturbable they will become and that’s what Albert Ellis would want. Well done all the REBE’rs out there!